Starting from the York office, Matt will be covering 60 miles to Darlington. On day two he will head to the Middlesbrough office in the morning, then on to South Shields before reaching his final destination in Gateshead during late afternoon. 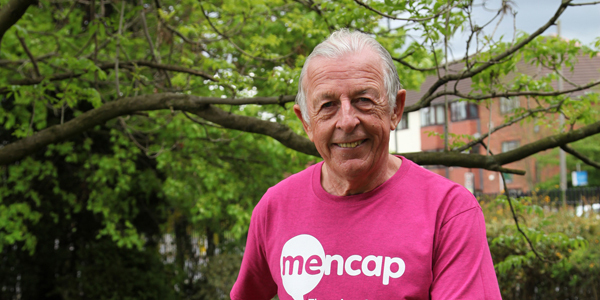 The money raised will help Mencap’s work to stand up for people with a learning disability, leading to improvements in their housing, education, healthcare, family life and more. Matt, Mencap’s business finance analyst says, “I began fundraising in 1987, raising money for two charities which are close to my heart, a hospice where my father spent his last days and the other for a private local nursery where children with and without a learning disability and physical disabilities played together. Since then I have undertaken several charity bike rides and marathons including raising money for Mencap. I’ve worked here for many years. I really enjoy my job and truly believe in what we do and what we stand for. You can help Matt raise further funds by donating to his JustGiving page. We are continuing to raise money for Mencap across the country over the next few months, to find out more see our fundraising events list.